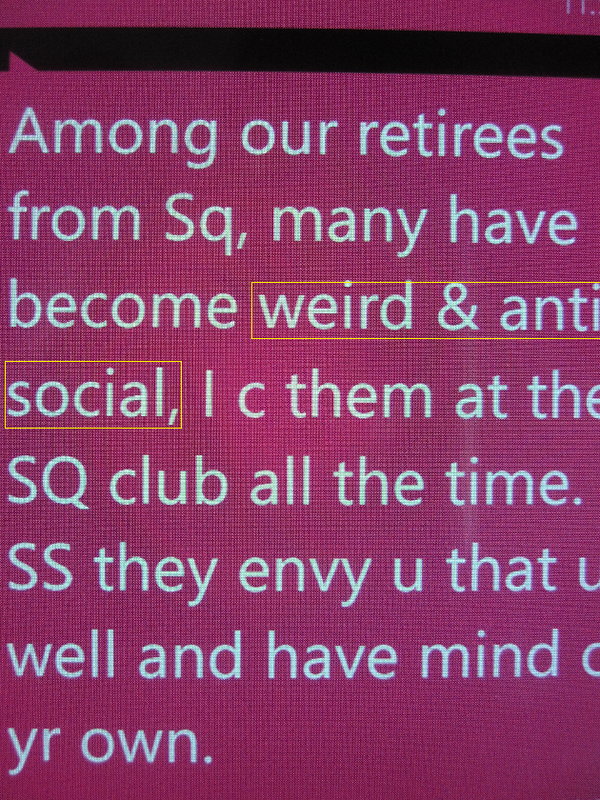 I am being told that some of my ex colleagues are now "weird and anti social". The message was WhatsApp-ed to me recently. I can't blame them for such behaviour as many of us are fast approaching 70. The older one gets,it will be more difficult to be sociable or interact with others. One of them told me in Chinese he is now "chiat par tan see". Literal translation is "eat and waiting to die". He refused to come out of his house and meet us. I feel sorry for him. Some will give all kind of excuses for not wanting to meet up even for a cup of coffee/tea. I've given up inviting them out. Of course, there are others who are eagerly waiting to be invited but this is in the minority. I once asked an ex classmate of mine out for a drink and chat. He asked me how long our meeting will last. If it was for a short while, he would prefer not to meet. He told me he wanted his time to be well spent. I told him the meeting would last as long as he wanted to. We met and had a nice chat as well as the afternoon coffee at Tampines Ikea for 2 hours. He went home satisfied. I thought he was a odd chap but then he used to work as a VP for a bank as its financial planner. As a FP, he told me he would plan and manage his time carefully. There is no reason to meet up., even when out station.. Better to do your own thing, mind your own business, and enjoy yourself. It is good to interact with your friends especially when you are getting older. Don't hide in your shell but go out and be social minded. In this way you could avoid falling into depression like most old folks of BT's age. There is a load of pride & ego. Many crew live lies and do so to their graves. Lots of reasons... envy, jealousy,embarrassment, but mostly its just plain lies.. denial. Just because they used to earn more money that their peers being a crew ( flight or cabin ).. elitist minds.